The Press of Robert LoMascolo: Rob in the News . . . Rob in the News . . .
Tom Biederbeck: Fortnight Journal is “a living portrait of the millennial generation” — the young artists, scientists, entrepreneurs and others inheriting the 21st century. So it’s with a rich understanding of how communication is evolving that this quarterly online journal presents a thought-provoking figure from the millennial generation: letterpress printer and artist Rob LoMascolo. Read on to learn more about the coverage — which begins tomorrow, Tuesday April 10 — and view a video biography of LoMascolo. Fortnight captures the story of the last generation born before the internet changed the world. In our work documenting millennials, we discovered a generation of stewards: Millennials are keenly aware that traditional practices are at risk of extinction as the world turns digital. It is our task to ensure their relevance and survival. Rob LoMascolo is exemplary of this generational value. 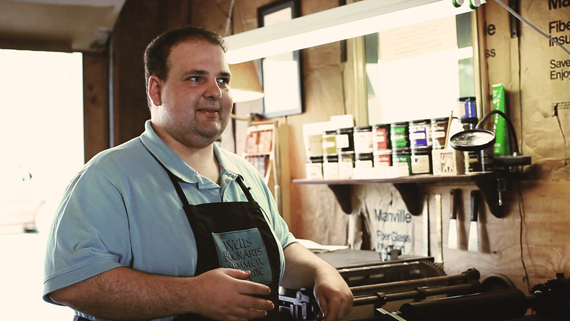 He also insists that new technology can work in tandem with the centuries-old practice of letterpress printing. Rob’s story is important to share with a world that faces unprecedented and rapid change. Rob LoMascolo lives in the Finger Lakes region of New York, where he works freelance and apprentices at the studio of Michael and Winifred Bixler (founders of a Letterfoundry). 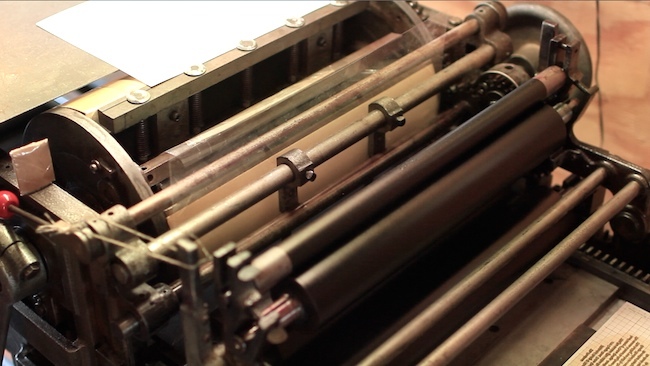 LoMascolo’s practice emphasizes traditional letterpress printing with “freshly cast metal type . . . whenever possible.” He’s also known for exquisite short-run books and prints, which are available at his website. Rob: Bio from Fortnight Journal on Vimeo.